Despite fielding two crossovers in the past few years, Jaguar still has a sedan problem. Namely, the marque's sedans aren't selling as well as it would like, and the consumer's recent apathy to this body style, one that has even forced Honda to cut back Accord production, has hit the brand especially hard. Specifically, XE and XF sedan sales haven't been making a dent – far off the charts of top-selling models in just about every country – even in markets still predisposed to four-door luxury cars such as China. For the past few years, industry observers have feared that Jaguar still has too many sedans in the lineup – part of an earlier effort to take on German automakers in just about every segment – while a bet on diesel engines hatched at the same time as the outbreak of Volkswagen's sweeping diesel emissions violations hasn't helped. Jaguar's bet on diesel recently contributed to a particularly stinging financial loss at parent Jaguar Land Rover in the fourth quarter of 2018, one in which Jaguar admitted that it won't see returns on investments that it envisioned. The automaker also plans to cut 10 percent of its work force, feeding speculation of larger-than-reported problems. A solution isn't as simple as cutting models and doubling down on crossovers and SUVs, even though that's what some automakers have done. 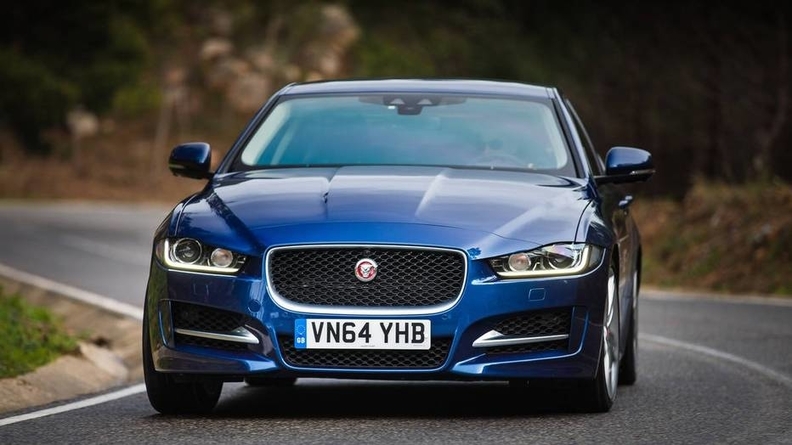 The XE and XF are both about 4 years old – merely at the middle of their product cycles; Jaguar is currently making plans for their replacements amid a gloomy outlook for sedans in the near future.